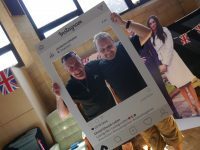 Following on from our Away Day in June, we want to carry on thinking about what it means to be a worshipping, missional community. 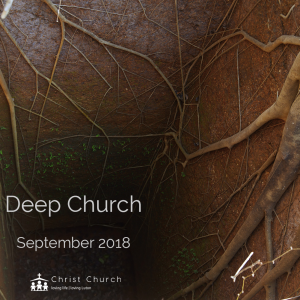 Throughout the Autumn, we will be exploring what it means for us to be a “Deep Church”. The phrase comes from CS Lewis who when asked about the style of church he preferred, replied that he didn’t have a preference for low or high church, but he wanted a deep church. We’ll be using a book called “Deep” by Frog & Amy Orr-Ewing as the source material for our teaching. This book will encourage us to think about what it means to worship God, and how we live that out as individuals and a church family. The book emerged following a series of talks at New Wine in 2007, and you can access recordings of those talks if you’d like to hear more. We will also publish material shared in church on Sundays so you can still find out what’s been said if you’re not able to be in church. 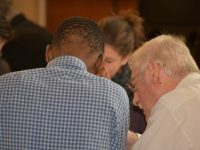 We want to encourage everyone to engage with the topics and to discuss and pray with others so that we can get a sense of what God is saying to us. Our Wednesday prayer meetings provide a great opportunity, and we will also be starting a Small Group that will meet on Fridays in September.